We are committed to ensuring all our players enjoy our products responsibly. We don’t want you to spend more than you can afford and we want you to stay in control. Betting on the lottery is a fun activity to be enjoyed sensibly. It stops being fun as soon as it starts affecting your life in a negative way. Don’t spend more than you can afford and always stay within your means. The options listed below are there to help you stay in control. 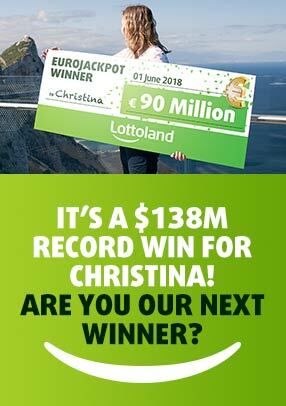 Every player can enter the maximum amount they wish to spend at Lottoland in a day. You can change this limit at any time by going to your account and editing accordingly. We operate a strict policy on underage players and are under obligation by the UK Gambling Commission to ensure all our players are over 18. We carefully verify every new player at registration to ensure they are old enough to join.